Picture this, you’re driving down the road at night, and out of nowhere, police lights turn on behind you. The officer approaches your window and says that you have burnt out tag light. He proceeds to question you and brings up the possibility of you driving under the influence. You may have had a drink earlier, but you know you’re not drunk. You take a breathalyzer test, and the results show that you are just over the legal limit. You are then arrested, booked, and charged with a DUI. Situations like this often happen, leaving the accused feeling helpless as they have “failed” a breathalyzer test but that is not the end all be all. Prosecutors need a solid case to get a conviction and factors like the arresting officer taking a low breath sample and you not exhibiting dangerous driving behaviors can work in your favor. The Orlando DUI lawyers at The Umansky Law Firm can review your case and explore the possibility of a dry reckless plea. Put simply, a dry reckless is reckless driving without alcohol involved. It is a plea that the prosecution can offer for DUI charges as a deterrent to the defense taking the case to trial. The officer did not fully observe the defendant for 20 minutes before testing. In other instances, the DUI defense lawyer must engage in negotiation with the State to make a dry reckless plea a viable option. These advantages are in addition to those in comparison to a DUI conviction. With a dry reckless, there’ll be lower fines, shorter jail sentence (if any), and no mandatory participation in DUI classes among many other benefits than if you plead guilty to a DUI. However, achieving these goals is more likely to occur with the help of a DUI lawyer. 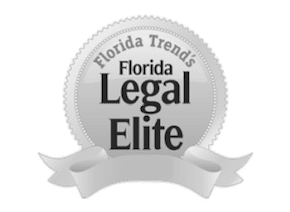 The Orlando DUI defense lawyers at The Umansky Law Firm have over 100 years of combined experience and are former state and local prosecutors. We’ve helped numerous individuals charged with DUIs mitigate charges by taking cases to trial and engaging in negotiations with the State to make favorable plea bargains available. Allow us to do the same for you. Contact us today at 407-228-3838 for a free case evaluation.